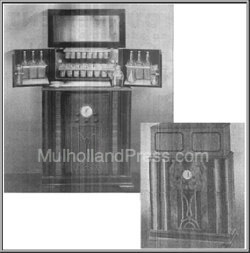 This cabinet does not appear in the 1932 catalog, but is found in a reference from 1935 where it is described as having a 6-tube full all wave (15 to 575 meters) RCA licensed chassis. 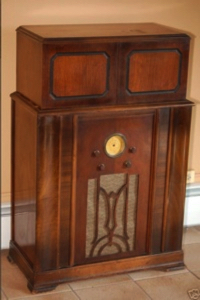 Price complete was $159.00, and less radio cost $109.00. 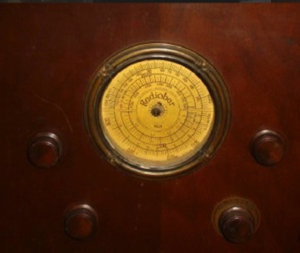 It does not appear in the Philco era catalogs.